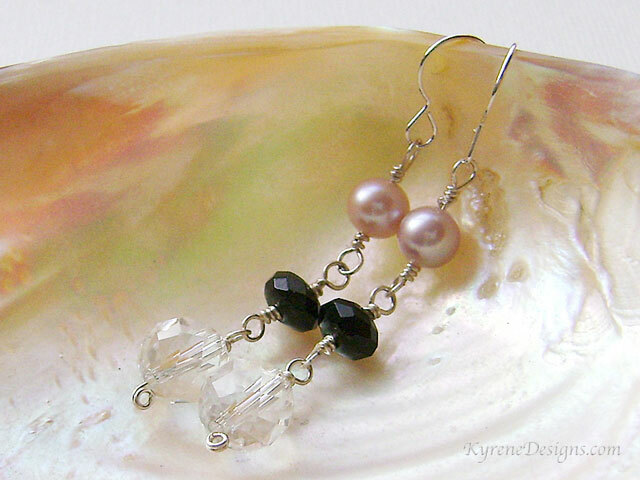 Natural pink pearl, black agate and a high-grade faceted rock crystal gemstone are handwired together for great movement in these stylish drop earrings. Length: 45mm overall. Pearl 7mm; gemstones 7mm 10mm. 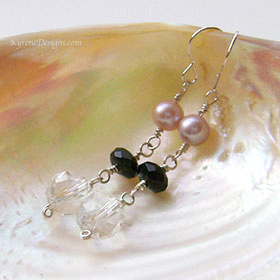 Options: contact sales@kyrenedesigns.com to swap to silver-plated clips, or hypo-allergenic hooks.